Michael Morcom acts for lenders and borrowers in corporate finance and mid-market financing transactions. He has extensive experience in secured transactions and opinion mandates (acting for lenders and borrowers), as well as commercial and residential real estate matters. Michael brings a personable and collaborative approach to his practice to achieve accuracy, efficiency, and results for his clients. Michael’s experience covers a broad array of industries and transactions including real estate development, hotel finance, construction, automotive finance, equipment leasing, aircraft finance, food and agriculture transactions, professional sports financings, and lending transactions involving diversified industries. Michael is co-lead of the Firm’s Financial Services Industry Group, holding a leadership role to develop Miller Thomson’s work in the banking industry. 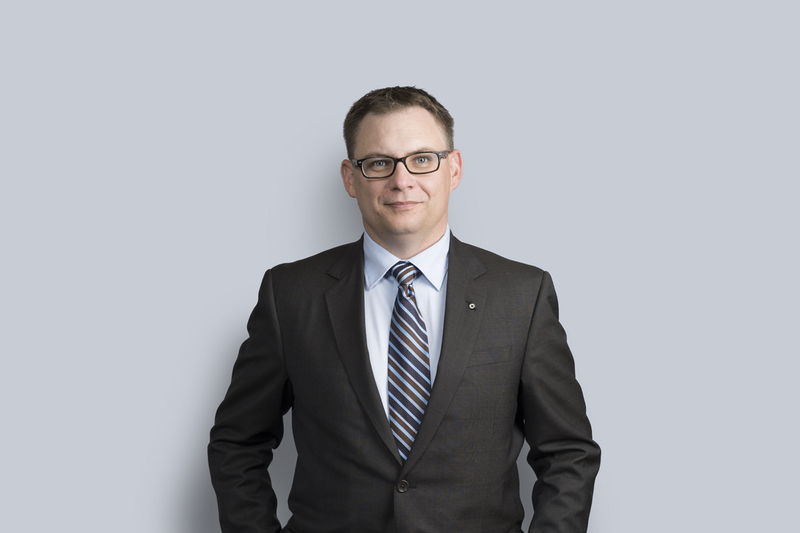 Early in his career, Michael worked in litigation at Miller Thomson, including general litigation, collections, personal injury, and insurance defence litigation, appearing in all levels of court in Alberta. Lender’s counsel to place in security in relation to more than 150 separate automotive dealerships across Alberta, Saskatchewan, and Manitoba. Alberta counsel to lender in relation to credit facilities for Calgary Flames hockey club. Lender’s counsel regarding a mixed-use condominium development in the “Edmonton Ice District” arena redevelopment. Borrower’s counsel for a Calgary-based brewery in the placement of construction/term-out and equipment finance facilities for construction and completion of new brewing facility. Lender’s counsel for operating and term debt credit facilities for a Calgary-based science and laboratory service provider with operations across seven Canadian jurisdictions. Borrower’s counsel for operating and term debt credit facilities for a significant logistics and distribution organization with operations across Canada. Purchaser’s Alberta counsel regarding the acquisition by a Schedule III authorized foreign bank of the entire North American GE loan portfolio. Lender’s counsel for operating and term debt facilities to a borrower group who, through the operating entity, is a leading manufacturer and distributor of hemodialysis-related products with locations in Alberta and Ontario. Borrower’s counsel for construction and term-out loan facilities for a storage facility located in Calgary. Lender’s counsel to a single lender in multi-lender group for the financing of a beef and meat processing plant near Balzac, Alberta. Borrower’s counsel to a charter aircraft business with operations primarily in British Columbia and Alberta, with involvement in multiple aircraft financings, hangar financing, operating, and other term debt. Lender’s counsel for the financing of multi-unit rental properties in nine locations across Alberta and Saskatchewan. Lender’s counsel for operating and term debt facilities for one of the largest independent crop input retailers in Alberta. Lender’s counsel for construction, operating, and term credit facilities in favour of an Alberta-based hotel operator throughout rural British Columbia, Alberta, and Saskatchewan. Lender’s counsel in relation to a number of separate credit facilities for ranching and feedlot operations in southern Alberta. Director, Calgary Bridge Foundation for Youth, an organization specifically dedicated to empowering immigrant youth to fulfill their potential in Canadian society.